The modern day trainer must be primed to excel in all avenues of sharing knowledge. From up-to-date course content to new classroom technologies, the trainer has to be open to incorporating new ways to impart knowledge and make training effective. One way that corporate trainers can ensure training success is screen sharing. 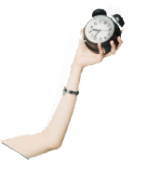 Screen sharing is the easiest way for a presenter or tutor to project a topic to an entire class in real-time. It’s the ability to display the trainers’ screen to their students, instantly, to explain a particular subject. There’s no need to try to explain a complex process verbally or walk students through large files when you can show them exactly how it’s done from your own screen. It’s also ideal for demonstrating software usage, fixing bugs, and customer hand-holding. Zoho ShowTime now comes equipped with a comprehensive screen sharing function. 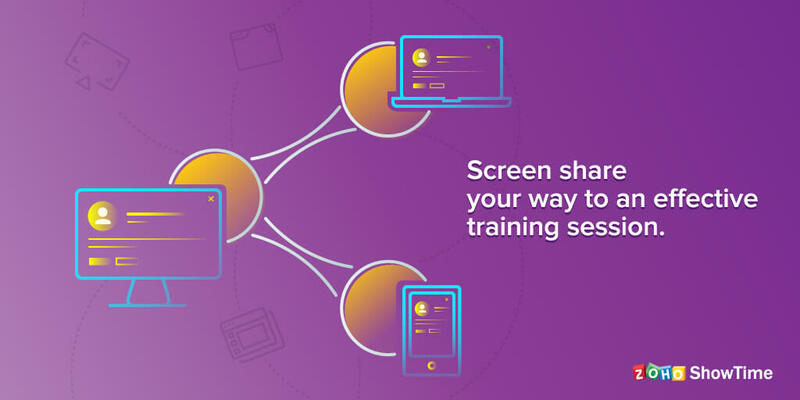 Trainers can now choose to share their screen with just a click as part of creating training that’s engaging and memorable. They no longer need to wonder if their trainees are on the same page. ShowTime offers three different ways to share presenters’ screen. 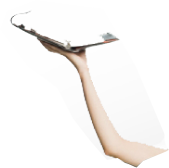 Share entire screen – When the session involves switching between apps, browser windows, and media files, the trainer can choose to share their entire screen. Share the application window – Sharing a particular application screen means you can check important email, reply to priority messages, and carry on with other tasks—without distracting your virtual learners. Share a particular browser tab – If there’s something the internet can explain, there’s no need to go through the hassle of downloading content. Trainers can simply select a browser tab to share and continue with the session.